For private vessels the limit on bluefin has been raised to two school bluefin per vessel in the 27- to less than 47-inch range, and one large school/small medium bluefin from 47 to 73 inches; for charter/headboat vessel the limit has been raised to three school bluefin in the 27- to less than 47-inch range, and one large school/ small medium bluefin from 47 to 73 inches. Capt. Joey Leggio sat down with Tom Schlichter and went over some do's and don't's when it comes to Bunkerspoon Trolling. 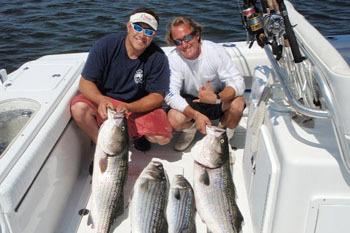 Article curtesy of Coastal Angler Magazine Long Island Edition. 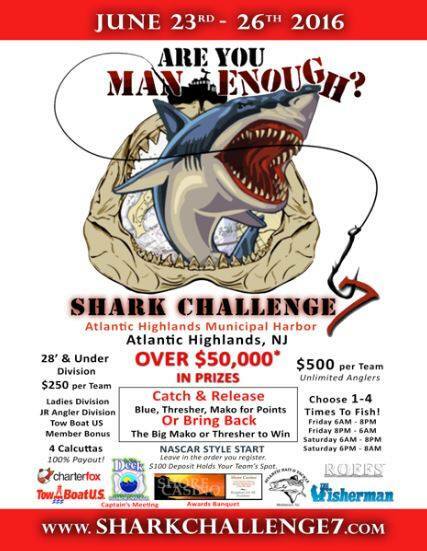 Save The Date.. Are You Man Enough?? 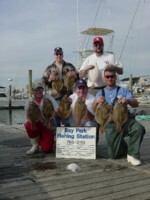 April 1st is the start of Winter Flounder. 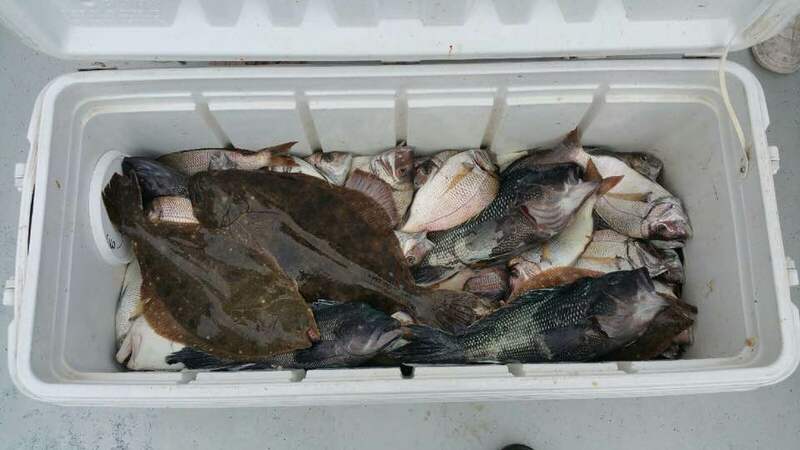 There is a 12" minimum size and you can harvest 2 Flounders. 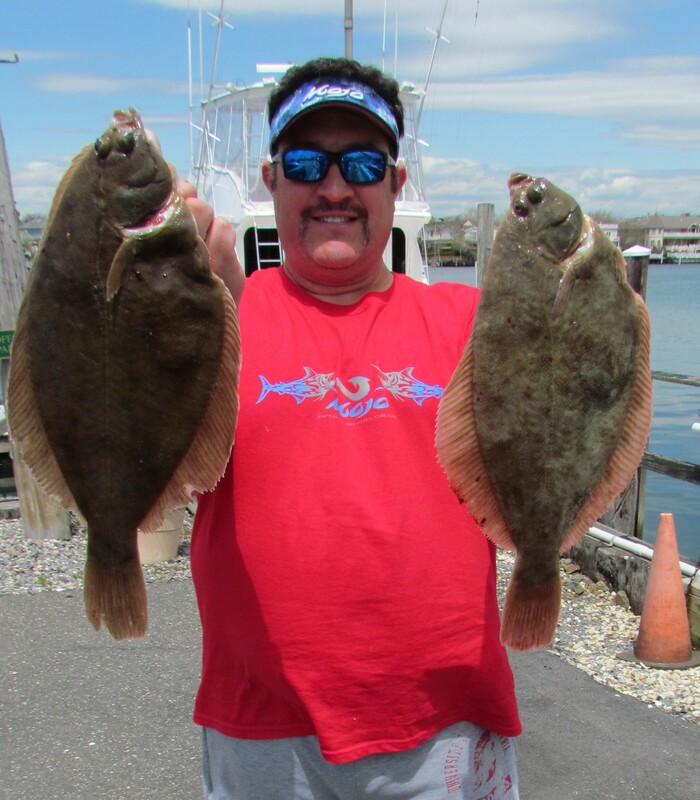 Check out our article on Flounder fishing. 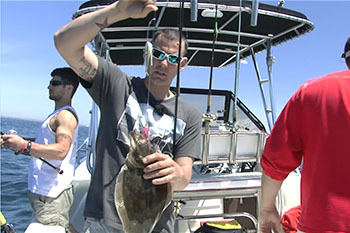 This article will help you put more of these tasty little flatties in your cooler. We are working on some new videos for the 2016 season. 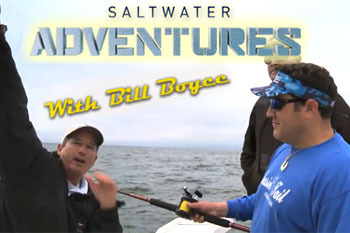 We filmed some very informative videos on electronics, sunglasses, daytime Sword Fishing and Getting started at Shark Fishing. 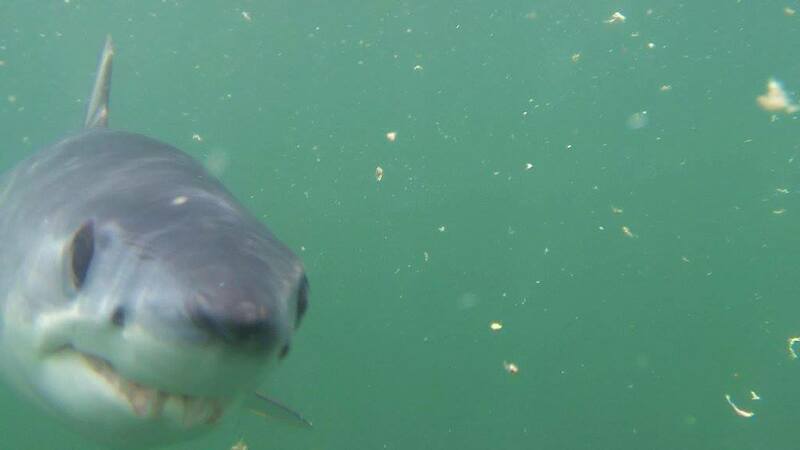 We posted a few already so take a look and enjoy. 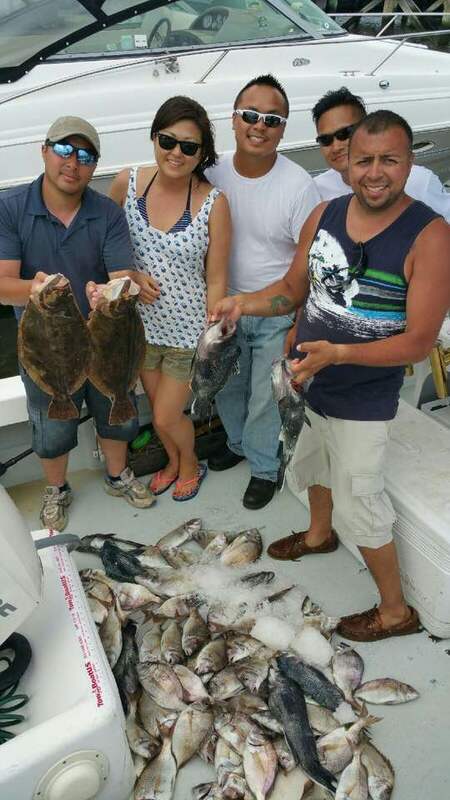 Every year we do a trip where we take kids fishing. It is great to see our future Dr's, Lawyers, Firemen and Police Officers away from the video game console and on the water laughing with buddies. Click on the read more and enjoy the video. 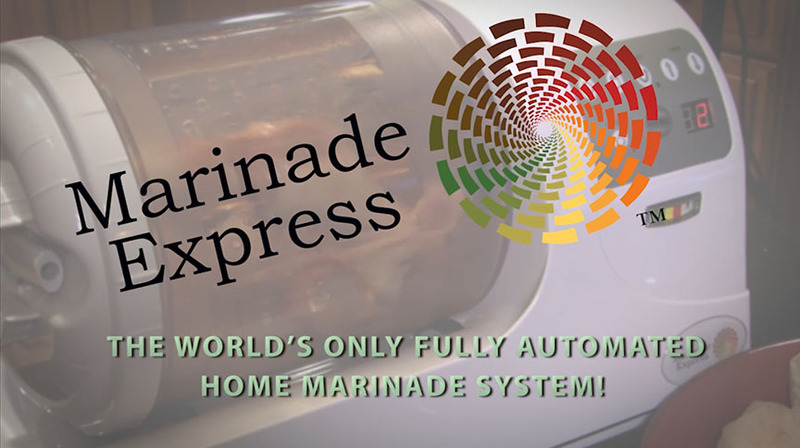 The Winner of the $300.00 Marinade Express is???? 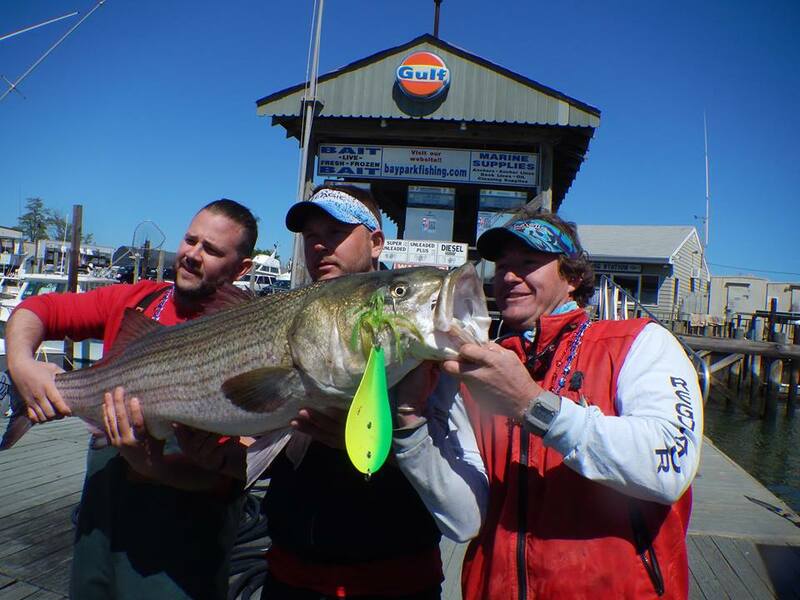 Watch the video to see who won the $300.00 Marinade Express..
Congratulations to Surfer Joe and Crew of Scott & Jay and winning the 6th annual Memorial Day Bass Shootout. Capt. 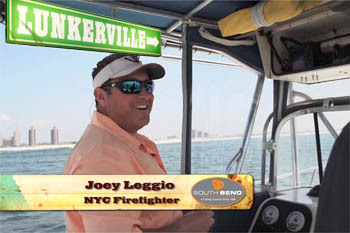 Joey Leggio gave Surfer Joe a Tony Maja #4 Multi Color spoon to try out for the tourney and with in 15 minutes of him calling him in on the bite, Surfer hooked up with the first place fish. 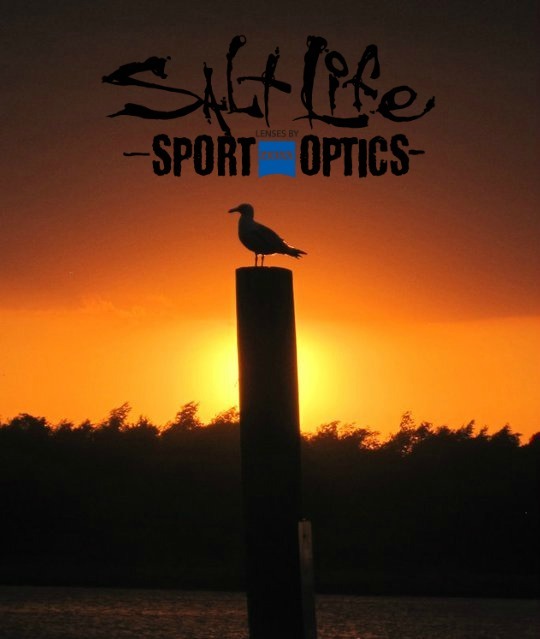 I think it is safe to say that Surfer Joe just found his new favorite spoon to use....Scott did an amazing job on the rod as this fish was hooked in the membrane of his eye. At the scales this fish weighed in at 43.50 pounds. 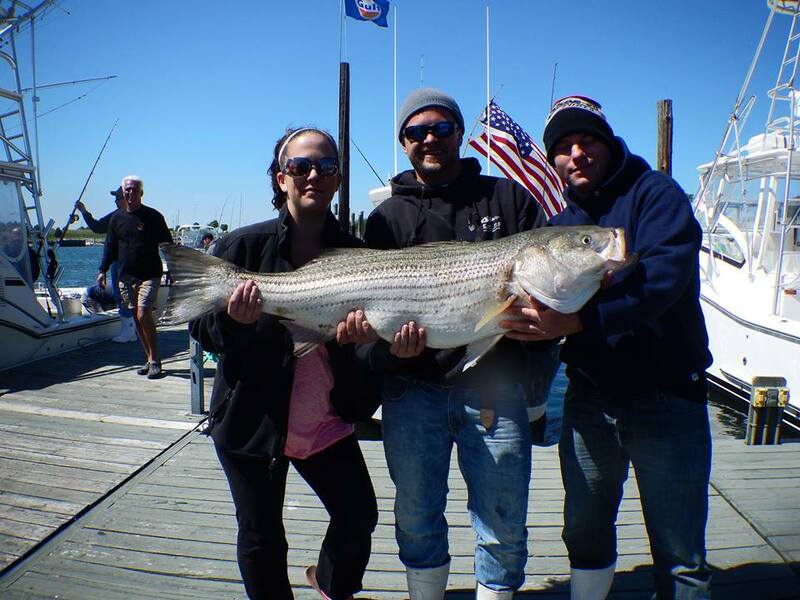 Jack and crew took second with a 34 pound Striped Bass.. 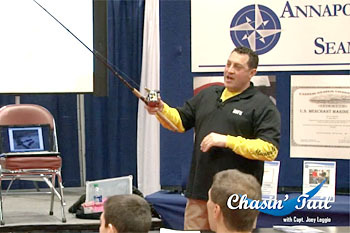 The Chasin' Tail TV discussion board is now easily accessible from your smartphone! Install the "Tapatalk" app on your smartphone or mobile device. It's super simple to use and FREE! Once the app is installed, search for and add Chasin' Tail TV. You can now use the "Tapatalk" to easily read & post to the Chasin' Tail TV Discussion Boards! 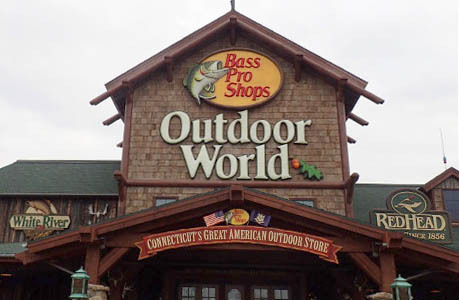 Commercial: The commercial quota was reduced by 25%. 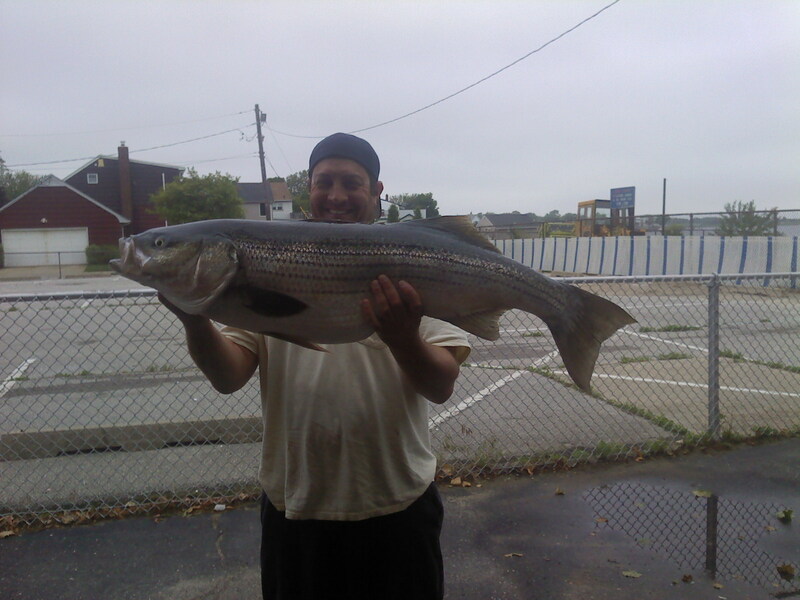 A slot limit of 28-38 inches during the Jun. 1 – Dec. 15 season are the new limits. 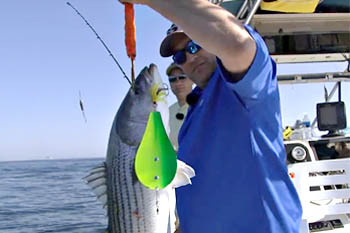 New York also recommends the use of “circle-hooks” while fishing for stripers since this reduces the mortality of released fish. NOTE: Anadromous river herring regulations remain the same for the Hudson River. 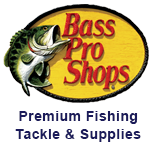 The possession ban remains only for the Marine and Coastal District and all other waters in New York State. 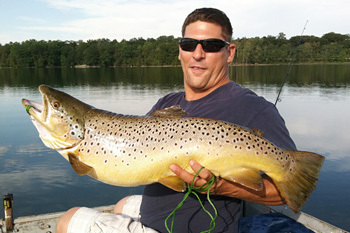 Please visit the NYS DEC website for http://www.dec.ny.gov/outdoor/7894.html details on the new limits and regulations . 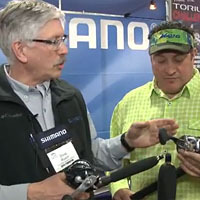 In case you missed it, here are some of the highlights from this year's Saltwater Fishing Expo in Somerset, NJ.